<firstimage=”//static.makeuseof.com/wp-content/uploads/2010/11/google-docs.jpg”> Google Docs has long been my preferred collaboration and note taking tool. I did try some alternatives 5 Great Alternatives to Google Docs You Should Consider 5 Great Alternatives to Google Docs You Should Consider Google Docs has its shortcomings. Maybe you want to avoid Google for privacy concerns. Or you might need different features. We found five excellent alternatives and one of them will work for you. Read More but I always came back to Google Docs. There are plenty of reasons to love Google Docs: the tool is quick and reliable. It has a set of features that allows you to play with it for multiple purposes: I for one found it great for collaboration. Its comparatively new and improved features (including real-time collaboration and chat) are awesome! Google Docs as a note taking tool works well as well. I found the tool really useful for easy organizing and accessing the information you come across online. 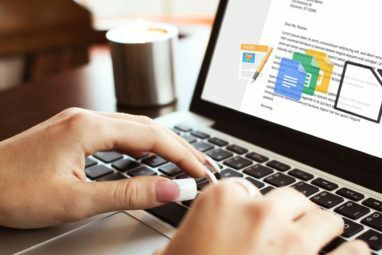 What’s more, Google Docs can improve your browsing experience a lot by allowing you to preview and open documents without having to download anything locally. 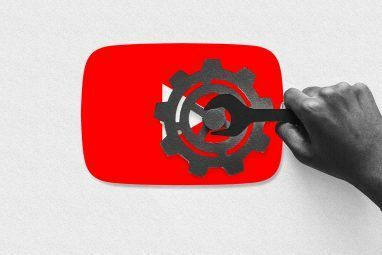 Here are my favorite tools that make it easier to open doc, docx, pdf, ppt, pps and xls files in Google docs in Firefox, Google Chrome and Opera 11.00. The Open IT Online tool adds a new option to your download dialog that lets you open the file using Google Docs instead of downloading it locally. Besides Google Docs, the addon supports a few popular document and image hosting services including Zoho, View Docs Online and Vuzit to edit or view documents and Snipshot, Pixlr and Sumo Paint to edit or view images. Two similar but less useful addons to preview documents in Google Docs are Google Docs Viewer and Google Docs Preview. They both add an extra option to your right-click context menu and they both support only PDF, DOC, DOCX, PPT, PPTX and TIFF files. It proved to be less usable to me as my right-click menu is pretty much cluttered already. Google Chrome also has quite a few extensions that allow you to open web documents in Google Docs. My favorite one is Ultimate Google Docs Viewer. It works via the right-click menu but it can also open specified file types in Google Docs automatically (you can enable and disable which files you want to open automatically in the Google Docs Viewer options). It supports doc, docx, pdf, ppt and pps files. 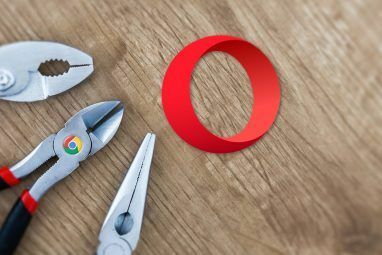 Opera 11.00 does have one handy (and pretty reliable) extension that allows you to preview any web documents in Google Docs. It prompts for document preview when you click links pointing to downloadable documents. Sadly, it works only with .DOC .PPT or .PDF files. (What? No .XLS file support? It’s all I download online!). Well, that’s probably because XLS files are not supported by Google’s Doc Viewer. Do you think opening documents in Google Docs is a handy option? Please share your opinions! Explore more about: Digital Document, Google Chrome, Google Docs, Mozilla Firefox. Personally, it's not even about being a "handy option"! Frankly for me,it's a necessity! For my 50th birthday, my family went together and chipped in to buy me a VERY MUCH needed new computer! (Awwwww..... ;-) ) The only thing is, "THEY" quit selling the computers with anything other than the most BASIC of software on them! NO MORE MS Office! (This was in Nov. 2012) WOW! Was I SHOCKED! Here I am two years later, and being on disability (since 2004), I STILL don't have the money to buy an MS Office Suite! Don't get me wrong! I am in NO WAY complaining! I am VERY grateful in fact. However, it is problematic at times to NOT have MS Office, when the computer world mostly revolves around it! EVERY once in a blue moon, I'll run across a website that has a Word document that I'd really like to see or really NEED to see. And without Google's nifty little "option" I'd REALLY be screwed! So I am VERY GRATEFUL for such an ability!!! Thank you Google!